Ideal for events, retailers, universities, hospitals, casinos and more. 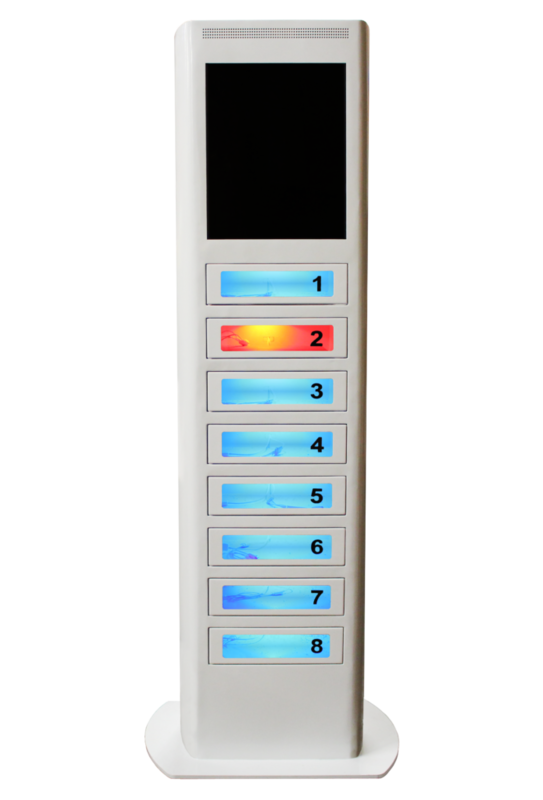 The charging kiosk is easy to customize for your brand or sponsors through the digital display screen and with a full custom wrap. Perfect for meetings, trade shows, weddings, restaurants, hotels, and resorts. 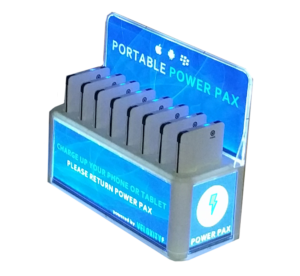 The charging bay and portable power packs can be custom branded for your organization or sponsors.